I'M HEADING BACK to St. Andrews later this afternoon. If you don't hear from me until Monday, it's because I'm temporarily without Internet access at home. THE ARCHANGEL MICHAEL as the Patron of High-Energy Physics? Well, okay, but I would have thought that the Hashmal was in charge of such things. HELEN INGRAM, who has attended the BNTC regularly in recent years (see, e.g., here, here, here, and here), can't make it this year, but she sent strict instructions that I am to post pictures of the whisky drinking event in Lloyd Pietersen's room, which took place last night. I obey. Helen, Cat, and Mark, we miss you! Oh ... and there were some good papers at the conference too. TEMPLE MOUNT WATCH: I have noted before that between the 1920s and the 1990s the Supreme Muslim Council has changed its tune regarding ancient Jewish occupation of the Temple Mount. Arutz Sheva has published some photographic documentation. The Temple Institute's Rabbi Chaim Richman writes that the pamphlet provides proof that the Waqf's current position is a departure from traditional Muslim belief. "In recent years," he writes, "the Moslem Waqf has come to deny the historic existence of the Holy Temple, claiming that the Temple Mount belongs solely to the Moslem nation, and that there exists no connection between the Jewish nation and the Temple Mount. It is clear from this pamphlet that the revised Waqf position strays from traditional Moslem acknowledgment of the Mount's Jewish antecedents." UPDATE (5 September): The scans come (via the Temple Institute, unattributed) from Todd Bolen's Bible Places blog. Thanks to Joseph I. Lauer for e-mailing to point this out. He relays that an Arutz Sheva video does give correct attribution. I'm taking part of the lunch period to blog and don't have time to watch it myself. METATRON WATCH: "So, with my guardian angel Metatron, who I imagine looks like a black Lamborghini Transformer with big bazooka arms, at my side I ventured forth to find out the past of the woman who was telling me my future." Archaeologists in Jerusalem have given a first glimpse of what they say is a newly-exposed section of the city walls built 2,100 years ago. The construction dates from the period of the Second Temple - the 2nd Century BC until the temple's destruction by the Romans in the year 70. The researchers believe the walls show the ancient city's boundaries when it was at its largest, with a circumference of 6km, compared to the 4km of walling surrounding what is now the Old City. South of the line of fortifications from the Byzantine period and at a depth of approximately 4 meters below the elevation of its base, a tower that is preserved to a height of 3.20 meters was exposed which dates to the time of the Hasmonean Dynasty (the Second Temple period). The tower was built on the bedrock which was straightened and made fairly level. It was constructed of large stones that are characterized by a dressed boss in their center, with no bonding material between them. The “header-stretcher” construction method used in building the tower is typical of the Hasmonean period. The tower was part of the line of the “First Wall” that is described by Josephus. Other sections of the “First Wall” were revealed at the base of the western wall of the Ottoman city wall, in David’s Citadel and in other excavations that were conducted in the Jewish Quarter. The soil fill and the pottery sherds that abut the city wall prove that it was used until the time of the Great Revolt and the destruction of Jerusalem and the temple in the year 70 CE. Afterwards, the stones of the wall were taken for secondary use, probably in order to build “Aelia Capitolina”, the Roman colony which the emperor Hadrian established on the ruins of Jerusalem in the year 131 CE. I'M IN DURHAM, blogging from the St. John's College Library. Curiously, Firefox is not cooperating with their wireless setup, but Safari works fine. I've found Firefox (both 2 and 3) to be unusually buggy lately. Is anyone else having that problem? I'M OFF to Durham for the annual British New Testament Conference, which starts later today and goes through Saturday. Darrell Hannah and I co-chair the NT & Second Temple Judaism Seminar. I'm not presenting a paper this year, but I'm responding to the paper by Preston Sprinkle. I pre-posting this yesterday on Wednesday afternoon. I expect to have full Internet access at Durham, in which case blogging should continue more or less as usual. Look for me again later today (Thursday). BARACK OBAMA meets Hebrew epigraphy and the Old Testament Apocrypha and Pseudepigrapha. Sort of. Vilifying Barack Obama's name has become a favorite blood sport in the 2008 presidential campaign. Recent examples range from repeated mentions of "B. Hussein Obama" by conservative pundit Ann Coulter to four allusions to Obama's "Muslim sounding middle name" by Republican strategist Cheri Jabobus on MSNBC in defense of similar language. Time correspondent Mark Halperin predicts that the McCain campaign will likely continue to "emphasize Barack Hussein Obama's unusual name," despite McCain's repudiation of this tactic. Obama himself warns supporters that his "funny" name will be targeted. The actual lineage of Barack Obama's name, however, extending back to a revered biblical namesake, befits his status as a Christian of rich ancestral influences. Obama's first name, Barack, means "blessed" in the African languages of Luo and Swahili, both spoken widely in his deceased father's birthplace of Kenya. The African "Barack" originates from the Arabic word "baracka." Barack and "baracka" mean the same as the Hebrew word "baruch," as Obama himself noted in his 1995 memoir, "Dreams from My Father," and at recent campaign appearances. Barack Obama shares with past American presidents, including Abraham Lincoln, Zachary Taylor, and Benjamin Harrison, the distinction of a notable biblical namesake. Baruch Ben Neriah was a scribe and friend of the prophet Jeremiah and also the reputed author of the apocryphal Book of Baruch, a canonical biblical book for Roman Catholics. He is the subject of Jewish and Christian religious lore from the Talmud to the writings of fourth-century church father Jerome and is portrayed as a righteous sage granted a tour of heaven itself. 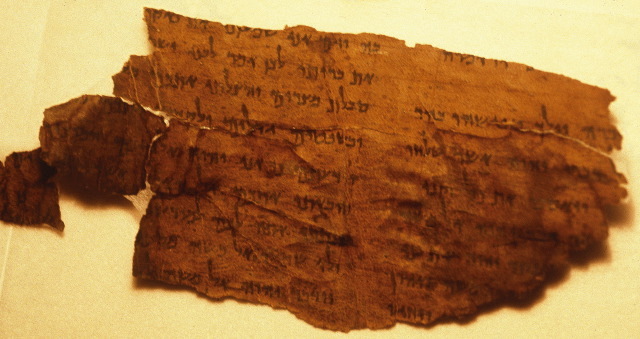 Baruch Ben Neriah makes a fascinating appearance in recent archeological finds, as detailed by J. Edward Wright in his book, "Baruch Ben Neriah: From Biblical Scribe to Apocalyptic Seer." Showing up also, indirectly, in these finds is Ebed-Melech, a black Ethiopian who is identified with Baruch Ben Neriah in some ancient rabbinic commentaries and who rescued Jeremiah after the prophet was imprisoned by three ministers of King Zedekiah (Jeremiah 38:1-13). The names of Baruch Ben Neriah, "the scribe," and of two of these royal ministers all appear in ancient Hebrew inscriptions on clay seals, the first on display at the Israel Museum in Jerusalem and the others unearthed in dramatic recent finds by archeologist Eilat Mazar in Jerusalem just this July and in August 2005. Some think that the Baruch bulla is a forgery, but this is debated. There are three or four ancient books of Baruch. In the OT Apocrypha, 1 Baruch. In the OT Pseudepigrapha, 2 Baruch (preserved in Syriac, a Greek fragment, and an Arabic translation of the Syriac), 3 Baruch (preserved in Greek and Slavonic), and the Paraleipomena of Jeremiah, which is also sometimes known as 4 Baruch. The only Arabic rendering of the name Baruch which I can find (in the Arabic version of 2 Baruch and in the United Bible Society translation of the Bible) is Bārūxa (بآرُوخّ), with x for k. Curious. The Arabic name Mubarak is from the same root and has the same meaning - "blessed." Obama’s given name may be from the Arabic word that is cognate to the Hebrew baruch. Or it may be from the word that means lightning (e.g. Ehud Barak אֵהוּד בָּרָק). Without knowing the Arabic spelling of his name (something that could probably only be garnered from his late father’s papers) I do not think that we can know which it is. I believe that he has cited both possibilities. Likewise, Richard Bauckham also wrote to suggest it is the same name, which comes from the Barak (or Baraq) in the Judges 4-5. Could be; it sounds plausible. But the name seems to have been mediated through Luo or Swahili, and I don't know what changes that might have involved. To recapitulate, the philological, literary and historical analysis of the Semitic meaning of Jesus’s titles corroborates his image as it emerges from the Synoptic Gospels. Hence the only reasonable conclusion to draw from a combined study of the Gospel picture and the honorific titles is that the historical Jesus was a Galilean charismatic whose aim was to conduct his repentant Palestinian Jewish contemporaries into the spiritual realm called the Kingdom of God through preaching, healing and exorcising. Traditional Christianity does not stop at this portrait of the human Jesus, but overlays it with the majestic ! image of the Christ of faith arising from the mystical meditations of Paul and John and the Hellenistic philosophy of the Greek Church Fathers. In a nutshell, Jesus’s preaching was centred on God, the heavenly Father, on the dignity of all human beings as children of God, on life turned into worship by total trust, on an overwhelming sense of urgency to do one’s duty without procrastination, on the sanctification of the here and now, and above all on the love of God through the love of one’s neighbour. TWO NEW BOOKS on plants in the Bible are given brief reviews in the Christian Science Monitor. And I may as well seize the chance to plug two new books by my colleague, Dr. Nathan MacDonald: What Did the Ancient Israelites Eat? : Diet in Biblical Times (Eerdmans 2008) and Not Bread Alone: The Uses of Food in the Old Testament (OUP, 2008). BETWEEN MEETINGS and heading to Edinburgh in a few minutes for the next one. My home broadband is down for the next week or two, so probably no blogging today. In case you hadn't worked it out, I'm back from research leave and holiday and am now Head of School again. Oh joy! But I expect (hope for!) things to quiet down some by the middle of the month. THE SPIEGEL ARTICLE ON CYRUS THE GREAT (noted here) has received a vigorous response from one Cyrus Kar at Payvand. It looks interesting and I've been meaning to take some time to fact-check it, but it's become clear that time for that won't be forthcoming anytime soon. But you can follow the link and see what you think yourself. I blog, you decide. I stand by my own evaluation of Cyrus, at the first link. Things are still going to be busy this week, and I'll be off for a conference on Thursday, but I'll blog as much as I can.